All Natural CBD Gummies are so convenient, easy to travel with, yummy and discreet. They are convenient to send in lunches, pack in your purse, or even eat while driving. These CBD gummies for kids are great for putting into lunches to get a mid day dose. Our strict high standards mean you get the very best the market has to offer. 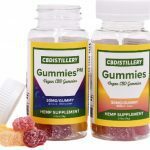 We have evaluated and compiled a list of the best all natural CBD gummies on the market today. 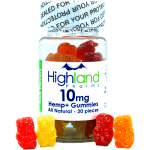 We've searched the market for the very best CBD Gummies for ADHD with organic CBD and all natural CBD gummy ingredients. All Natural or Organic ingredients. Operating for more than two years and is an established company with longevity and experience in the CBD market. Provide independent 3rd party lab reports that are available to review online or by request. Ethical Marketing – No BS marketing. To avoid toxins and other surprise ingredients, we recommend using these criteria to avoid purchasing a product made with synthetic CBD, known as spice. Spice is very dangerous and is highly toxic. 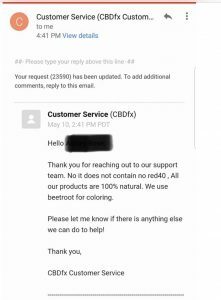 Never purchase CBD products from eBay, Amazon and other questionable sources. The dangers of purchasing from unreliable sources. One of the first and most important ways to manage ADHD is to eliminate artificial colors and flavors. As for priorities, this is our first criteria for selecting the best CBD gummies for kids with ADHD. If a person is sensitive to artificial colors and/or flavoring, the benefits of CBD will be negated by any dyes or flavoring in the product. It is important to remove all dyes and flavoring from the diet to achieve beneficial results with CBD. 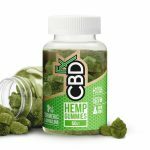 When starting CBD, start with 4-5 mg per day for the first 2-7 days. If no improvement, increase slowly for another 2-7 days until beneficial results are noticed. If you are transitioning to using gummies from an oil product, simply start with the dosage you left when using oil drops. Cannabinoid profiles can change with each updated batch lab report. It is always best to confirm the profile on the most recent lab reports on the company website. 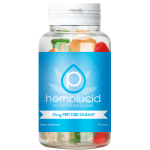 Hemplucid Gummies Click Here for Discount Code Organic evaporated cane juice, organic corn syrup, organic white grape juice concentrate, pectin sodium citrate, citric acid, ascorbic acid, Whole-Plant™ CBD, natural flavors, colors added (including anatto, tumeric, grape juice concentrate, red fruit juice concentrate). 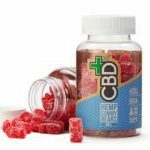 CBDfx Click Here for Discount Code Organic cane sugar, organic tapioca syrup, water, organic seaweed extract, natural flavors and colors, organically grown CBD rich hemp oil. 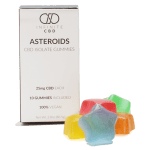 Infinite CBD Click Here for Discount Code Pectin: For those with diet restrictions, our Asteroids recipe contains plant based ingredients. Check out our Trusted Brands list for more vetted companies. For the most accurate information on CBD use to manage ADHD, join #CBD4ADHD on Facebook and discuss with others finding success with CBD. Previous PostPrevious How to Infuse CBD To Honey – So Easy!